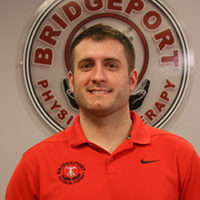 Jack Spatafore, DPT, MS EXPH. Jack is co-owner and president of Bridgeport Physical Therapy. He is born and raised in Bridgeport, WV. He is a 1991 graduate of Bridgeport High School. 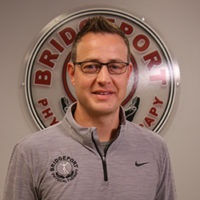 He received his Masters in Exercise Physiology from the School of Medicine in 1996 from WVU and his Doctorate in Physical Therapy from Shenandoah University in Winchester, Va. in 2001. 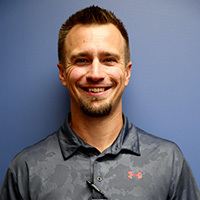 He has specialized training and certifications in trigger point functional dry needling (FDN), ASTYM (soft tissue mobilization), muscle energy techniques (MET), Rocktape, myofascial release (MFR). He concentrates his continued education on sports-medicine and post surgical rehabilitation. He takes pride in his working relationship with the areas healthcare providers and enjoys working together for best outcomes for his patients. He and his wife Maria live in Bridgeport and enjoy spending time with their four children Olivia, Anthony, Jack and Nina. Jack is very active in the community including youth sports as a board member and a coach. 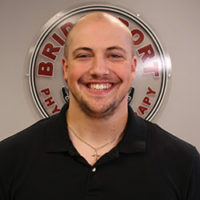 He is also a board member for the West Virginia board of Physical Therapy (WVBOPT). He contributes his strong faith and loving family for his continued enjoyment and success as a physical therapist and business owner. Mike Martin, PT, is co-owner of Bridgeport Physical Therapy Services. Mike received his Bachelor of Science degree in Physical Therapy in 1981 from West Virginia University. He was employed as a staff Physical Therapist at United Hospital Center in 1981 and 1982. Mike worked as the Chief Physical Therapist at St. Joseph’s Hospital in Buckhannon from 1982 to 1984. Mike has been in private practice since 1984. In his spare time, Mike enjoys spending time with this wife Kim and their four children Michael, Matt, Molly and Patrick and their granddaughter Aryanna. 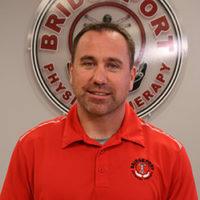 Mike also enjoys coaching youth sports, woodworking and running the Challenger Division of Bridgeport Little League for handicapped children along with his wife Kim. Mike is very active in the community and has received honors such as Harrison County Citizen of the Year in 2004 and the Michael Benedum Fellow award in 2005, he was inducted into the Bridgeport High School Hall of Fame in 2011 and was named an Irish Legend at his alma mater, Notre Dame High School in 2013. Because of their community work with the Challenger Baseball League Mike, along with his wife Kim have received the 2012 West Virginia Executive Magazine Youth Sports Supporter of the year award for West Virginia as well as the 2008 Cecil Jarvis Leadership Award. 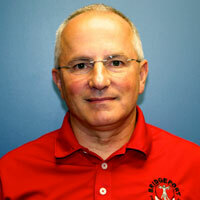 Mike has over 33 years of experience treating many different conditions and he specializes in Myofascial Release. 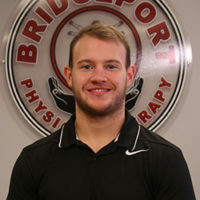 He is an advanced therapist with the John F. Barnes myofascial release treatment approach. 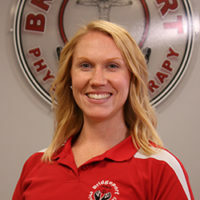 Christa Randolph graduated from West Virginia University with a Masters of Physical Therapy in 2005. 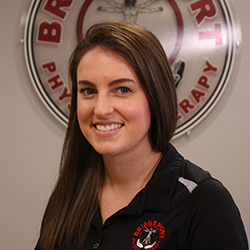 Upon graduation, Christa began her professional career at Bridgeport Physical Therapy. 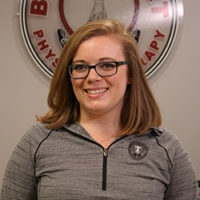 She has certifications in ASTYM, FDN (Functional Dry Needling), MET (Muscle Energy Techniques), and MFR (Myofascial Release) allowing her to assist patients with musculoskeletal dysfunctions. 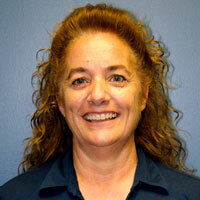 She also is a certified with Sole Supports to provide patients with custom orthotics. 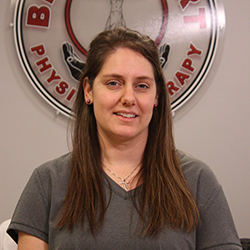 Her areas of interests include orthopedic rehab, manual therapy and pediatric interventions. She is also received a clinical faculty appointment from WVU due to her involvement as a clinical instructor for WVU DPT students. She also provides affiliations for other PT and PTA programs nationwide. 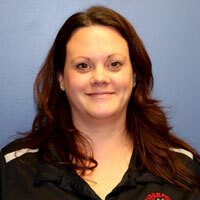 Christa is a life-long resident of Bridgeport and resides with her husband, Ben and children, Taylor and Alex. Lawren Sandy, MPT, graduated from the University of Findlay with a Master of Science in Physical Therapy in 2010. 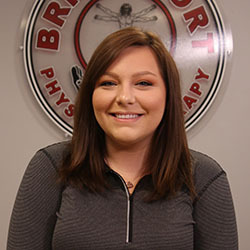 Her educational background also includes an Associate of Applied Science in Physical Therapy Assistant and Bachelor of Science in Allied Health Administration both from Fairmont State University. 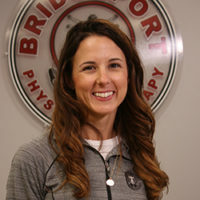 Lawren has over 15 years of clinical experience at Bridgeport Physical Therapy with treatment certifications in Functional Dry Needling, Muscle Energy Techniques, and Myofascial Release. Lawren resides in Clarksburg with her husband, Paul, and their daughter, Delaney. 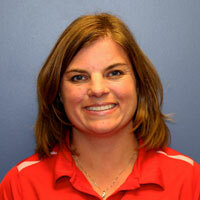 Bobbi Jo Ridenour completed her undergraduate degree in Athletic Training from Alderson Broaddus College in 2005. 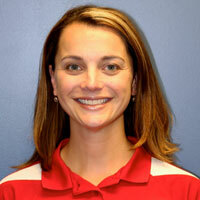 She continued her education at West Virginia University and graduated in 2009 with her Doctorate of Physical Therapy. 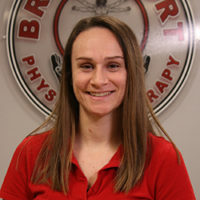 Bobbi Jo has also obtained certifications in ASTYM, Functional Dry Needling, Muscle Energy Technique, and Myofascial Release during her professional career at Bridgeport Physical Therapy. 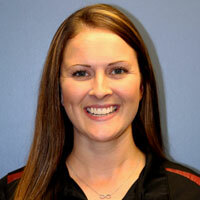 Her areas of interest include sports related injuries, orthopedic rehab, and manual therapy. 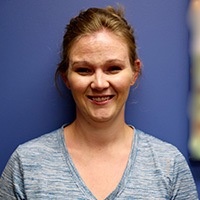 Bobbi Jo and her husband, Jason, reside in the area and enjoy spending time with their children Wesley, Raylyn and Karlie Jo. 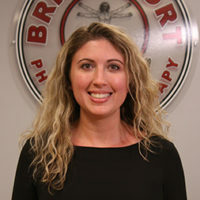 Julie Harbert, OTR/L, CLT, LMT graduated from West Virginia University with a Master of Occupational Therapy Degree in 2007. 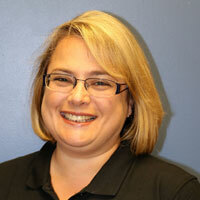 She became a Certified Lymphedema Therapist in 2010, trained by the Norton School for Lymphatic Drainage. 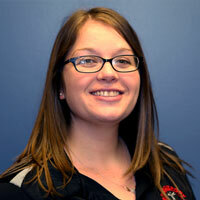 Julie is also a Licensed Massage Therapist. Her areas of interest include hand therapy and lymphedema. Julie resides in the area with her husband, Marc, and two sons, Liam and Declan. 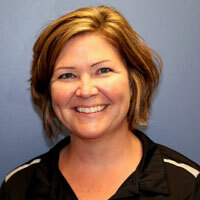 Kim Nolte graduated from the University of Montana with a Masters of Science in Physical Therapy in 1998. She has worked in Iowa, New York, and Colorado in various outpatient settings. 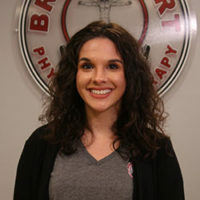 She has attended continuing education classes for the Maitland approach and Myofascial techniques. Kim resides in Bridgeport with her husband Isaac and their two children, Tristan and Brody. Kim Riley graduated from Saint Louis University with her Master in Physical Therapy. 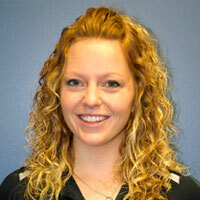 She is originally from Illinois and has practiced in West Virginia, Utah, Wisconsin, and Colorado. 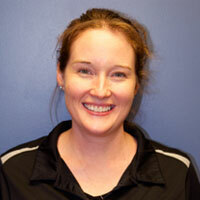 Kim is a certified lymphatic therapist and kinesio tape instructor. 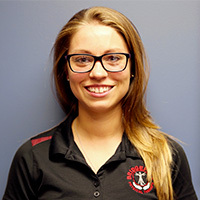 She also has specialized training in muscle energy techniques, IASTM, and women’s health. 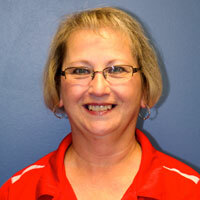 Kim enjoys working with patients of all ages and enjoys the variety that outpatient physical therapy offers. 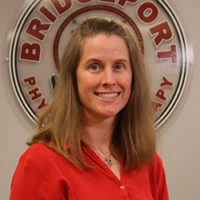 Kim resides in Bridgeport with her husband Ben and their two boys, Orlando and Aidric. 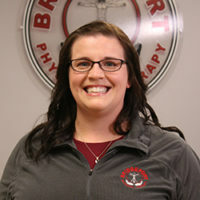 Tracy Garavaglia, MS, PT, ATC graduated from the University of Indianapolis with a Master of Science in Physical Therapy in 1998. 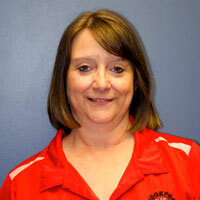 She has also been a NATA Certified Athletic Trainer since 1998. She is certified to perform ASTYM and Kinetacore trigger point dry needling, and she has a special interest in vestibular rehabilitation. Tracy lives with her husband Rick and their two children, Adison and Matthias.